Counsel, Head of the Compliance and EU law practices of Redcliffe Partners. He has unparalleled experience of advising businesses on preventing, identifying, eliminating and mitigating compliance risks at both the national level and globally. He specialises in advising clients on all types of compliance matters and in conducting internal investigation, amongst others related to FCPA and UK Bribery Act issues. Redcliffe is a legal adviser to multinational companies, investors, financial institutions and project developers operating or investing in Ukraine and the CEE. The core legal team of Redcliffe worked together for more than seven years as the Kyiv team of Clifford Chance, handling many of the region’s most sophisticated transactions. Redcliffe focuses primarily on Antitrust, Banking and Finance, Capital Markets, Compliance, Corporate/M&A, Debt Restructuring and Insolvency, EU law, International Arbitration and Dispute Resolution, Litigation and Real Estate. Redcliffe offers legal advice across industry sectors such as Agribusiness, Energy/Oil & Gas, Financial Institutions, FMCG and Retail, Food and Beverage, Infrastructure, Pharmaceuticals and TMT. Redcliffe is recommended for Banking and Finance, Capital Markets, Corporate law, M&A, Debt Restructuring and Energy by all international legal directories including Chambers Global, Chambers Europe, the Legal 500 and IFLR 1000. 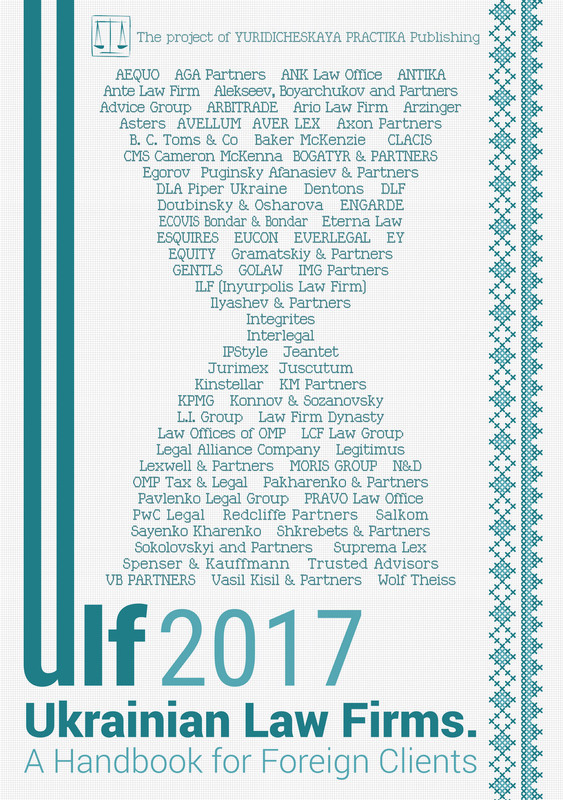 In 2015 and in 2016 Redcliffe’s team was named among the Top 3 advisers by number of the largest public deals in Ukraine, according to ranking of Yuridicheskaya Practika Publishing. Redcliffe’s clients are major international and local companies from various industry sectors, global private equity houses and financial services institutions, including Abbott Laboratories, Amadeus IT Group, BNP Paribas, Citigroup, Credit Suisse, Deutsche Bank, EBRD, IFC, ING, J.P. Morgan, Monsanto, Morgan Stanley, Raiffeisen Bank, UniCredit Bank, Vitol. Redcliffe has access to a global partner network and the know-how of some of the world’s leading law firms. These relationships help the firm offer seamlessly coordinated multijurisdictional teams for supporting its clients worldwide. Ukraine retains a very restrictive currency control regime, introduced by the National Bank of Ukraine (NBU) as a provisional measure to prevent the outflow of foreign currency from Ukraine. In accordance with the most recent NBU currency control Regulation No.410 of 13 December 2016, the NBU admitted that the applicable currency control restrictions will remain in effect until such time as the NBU, in the absence of any circumstances affecting the stability of the banking and/or finance system of Ukraine, adopts a separate resolution lifting them. On 1 December 2016 the National Bank of Ukraine published a detailed Concept for new foreign currency regulations that it intends to develop in the following years (the Concept), provided that, amongst other things, the economic conditions in Ukraine are stabilised and cooperation with the International Monetary Fund moves forward. The principal point of the Concept consists of developing a new consolidated act on foreign exchange which will replace the multitude of regulatory acts setting out the foreign exchange rules that currently apply. A first draft of such new consolidated act is to be presented as early as the second quarter of 2017. As a next step, the Concept would include reforms to the relevant tax and money laundering legislation based, as regards the former, on implementation of OECD base erosion and profit shifting recommendations. Eventually, as is stated in the Concept, the restrictive currency control rules would be replaced by efficient tax regulation. Overall, the Concept is expressed to include the relevant provisions of the European Union law, including in particular Directive 88/361/EEC of 24 July 1988 (the Directive). The Directive is a rather dated but prominent piece of European Union law. It is the first piece of community legislation to set out an express obligation on the part of member states to ensure that capital movements are not restricted within the community. To this effect, Article 1 of the Directive obliges member states to abolish restrictions on movement of capital taking place between persons resident in member states. Most importantly, however, Article 7 of the Directive obliges member states to attain the same degree of liberalisation in respect of movements of capital to or from third countries, as that which applies to operations with residents of other members states. The Directive does not provide a definition of capital movement. At the same time, Annex I to the Directive sets out a nomenclature of capital movements, in respect of which member states are obliged to abolish all applicable restrictions. The nomenclature set out in Annex I to the Directive provides a list of examples of what constitutes a capital movement, with an express reservation that such list should not be interpreted as restricting the scope of the principle of full liberalisation of capital movements. The European Court of Justice relied upon the nomenclature provided in Annex I to the Directive to define whether a particular transaction is or is not regarded as capital movement for the purposes of the Directive1. Harmonisation of domestic law with European Union law is an important part of the 2014 Association Agreement between Ukraine and the European Union (the Agreement). The Agreement is notable, among other things, for setting out detailed obligations for Ukraine regarding implementation of European Union law. In particular, under Article 133 of the Agreement Ukraine shall ensure that its existing laws and future legislation relating to financial services will gradually be made compatible with European Union law. Furthermore, under Article 145(3) of the Agreement, Ukraine is obliged to complete the liberalisation of capital movements equivalent to the liberalisation in the European Union. A positive assessment by the European Union of the Ukrainian legislation on capital movements, its implementation and continued enforcement is a necessary precondition of a decision by the Trade Committee2 to extend the same treatment to Ukraine with respect to financial services as that which applies between member states of the European Union. Implementation of the nomenclature set out in Annex I to the Directive is an express obligation of Ukraine under Appendix XVII-2 to the Agreement. The said Appendix enumerates the specific provisions of the European Union law which Ukraine is obliged to implement in order to obtain the same treatment in respect of financial services as the treatment which applies between European Union member states. In respect of the nomenclature set out in Annex I to the Directive, the Agreement reserves a 5-year period, upon expiry of which the Trade Committee shall take a final decision on the timeline of implementation. Such 5-year period commences on the date of the entry into force of the Agreement, which as of the date of this publication has not yet come into force and applies on a provisional basis. Given that harmonisation of domestic law, in particular as regards the complicated industry of financial services, is a long-term undertaking, the NBU’s present decision to include use of the Directive as a framework for new currency control legislation should be viewed as a positive signal. However, in practical terms much would depend on whether the turbulent economic conditions would stabilise sufficiently to allow for liberalisation of currency control measures. And, whether the Ukrainian Parliament would agree with the NBU on the need to liberalise them.